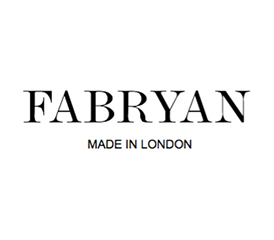 FABRYAN (fa-bri-an) is a contemporary accessories brand; offering uniquely designed silk and cashmere scarves. The collection retains Fabryan’s signature that fuses bold colours and impeccable hand finishing detail to each scarf creating an ultimate accessory for the elegant woman. Our original rich prints are wearable art; woven with high quality pure silk and fine cashmere. Each unique scarf writes it’s own story.